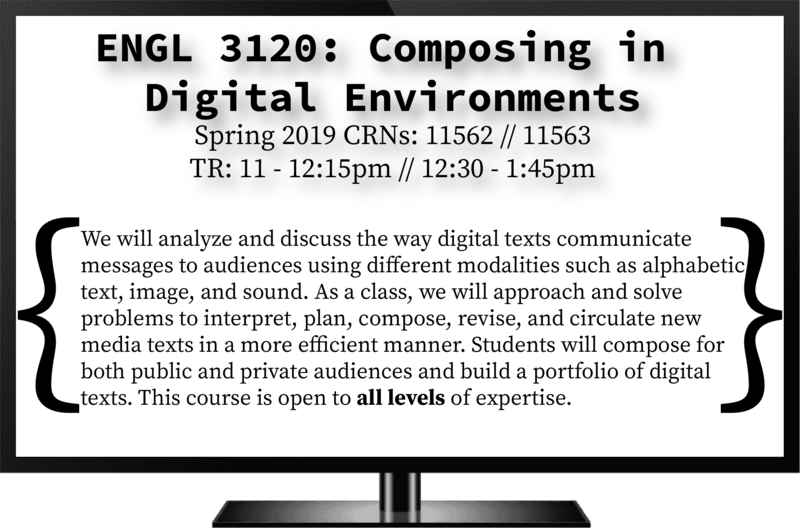 The course you are enrolled in, ENGL 3120: Composing in Digital Environments, is a general education requirement for most of Clemson students. This particular section is being taught with a specific focus in digital literacy and creativity within the vein of technical writing. You will be learning skills that will help you in your other coursework, personal life, as well as in your future careers. Join me on this epic adventure!